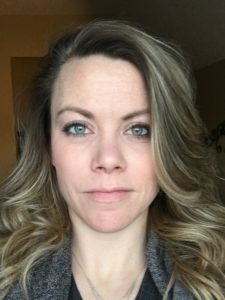 Beth Whalley, Edmonton Zone Home Living, AHS. In partnership with Edmonton Seniors Coordinating Council, Seniors Outreach Network Society, Operation Friendship Society, Elder Care Edmonton, Multi-cultural Women’s and Seniors Serving Association, Multi-cultural Health Brokers Co-op, Strathcona Place Seniors Centre, Senior Citizens Opportunity Neighbourhood Association, Alberta Health Services Edmonton Zone Home Living, and community-based Senior-Serving Outreach Services. 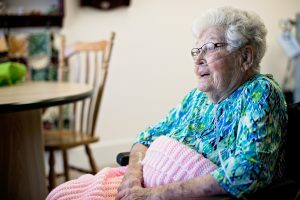 Seniors living in the community often struggle to access the health and social services needed to maintain their health and wellbeing and may find that available supports such as Community Outreach Workers and Home Care work in isolation from one another. This project developed a collaborative case management model that improved access for seniors to home care and community supports, reduced duplication, and reduced the need for institutionalized care. This project reviewed the case management roles and eligibility criteria of Alberta Health Services Edmonton Zone’s Home Living Case Managers and Seniors Outreach/Support Workers employed by non-profit, community based agencies to better understand the gaps, areas for improvement and opportunities for collaboration. This project made it simpler for seniors living in the community to know who was coming to their homes to provide services and for what. Collaborative Case Management, or CCM, is a practice support process in which Home Living Case Managers (HLCM) and Seniors/Outreach Support Workers (SOSW) work together to meet the needs of vulnerable seniors who live in the community. A Memorandum of Understanding satisfactory to all parties involved. Findings from this project were used to evaluate the effectiveness of shared case management for these two agencies and inform development of a standardized referral process. Practice Support Tools are added below: for Home Living Case Managers, Seniors Outreach/Support Workers, and for the Home Care Clients.